Time is one of the most valuable factors in our lives. It is an asset which once gone cannot come back. Nowadays, with a busy life, tight business schedules, and personal commitments, the value of time has been increased more than ever. Successful people spend their time according to their pre-planned schedules and try to minimize wastage of time in any way. Surveys show that forty percent of time spent by businessmen is on activities other than building their business. Most of the time they are busy in managing issues or expense reconciliation. Businessmen and especially entrepreneurs should spend their valuable time on building and growing their business rather than just managing routine daily activities. Major hurdles and challenges faced by their business should be addressed timely and strategies should be updated according to the market surveys. 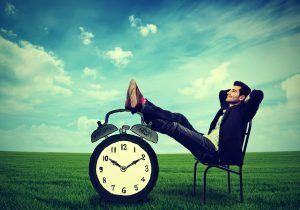 Here are five ways to effectively manage your time and find more time in your day to build your business. Most businessmen spend their maximum time, efforts and staff on creating invoices, making payments, maintaining bookkeeping, processing payrolls and so on. They are left with no time for studying building strategies. The best solution to save time is to purchase and implement an online accounting software or application. Various affordable, easy to use and wonderful software are available in the market to handle accounting, bookkeeping, and payroll tasks. That saved time could be utilized for growth of the business. QuickBooks, Fresh Books, Xero are a few examples of accounting and payroll software. Making daily processes automatic will definitely save your valuable time and energies for more productive activities. Small business entrepreneurs often have the advantages of being a multitasking and decision-making authority. They don’t need to go through a long process for getting an approval. They don’t strike in just managing the big teams and the big budget. They can utilize their small sized team and budget in building their business. They can make prompt decisions, implement strategies immediately and interact with customers closely and often. They can invest their time in building a strong, trained and multi-talented team. They can develop a strong relationship with their customers. These activities will be fruitful for your business. Development in technology allows businessmen to manage from anywhere, at any time. They don’t need to be present in their office desks for handling their business. They can perform official activities on the go. By using Blue Jeans Network and Skype, visual contact with partners and employees from anywhere is possible. Google Docs has made it possible to work on any file in real time by more than one individual from different locations. LanuchPad and We Work allows you to find innovators and can exchange innovative ideas, discuss challenges and their solutions. Professional meetings can be conducted. Phone systems have also been developed quite a bit over the years. These advanced technologies save time by providing flexibility of the timings and space. For launching your idea or business, you don’t need the heavy budget, big team, and concrete office. Just invest a few dollars in creating a website. Seek the help of a freelancer from Elance or oDesk web designer to create a logo and attractive design for your website. Use Squarespace or Wix.com for creating the website without any specialized development skills. Find a freelance writer to write catchy content for your idea and launch your idea within a few days. This is how money, time and energy can be saved. A personal assistant for scheduling meetings and making reservations for lunch is just wastage of money. Hire a virtual assistant for all of these tasks. Save salary, benefits and time. He will be as close to you as a next chair employee. Use video conferencing and instant message to contact him immediately from anywhere, at anytime. Technology has made time management easy and investing time in the progress of the business.